Red tide attacks the Gulf Coast. The state ranks 49th in health care. Mass shootings and gun violence are becoming increasingly frequent. Florida has a mountain of issues, with few solutions in sight. 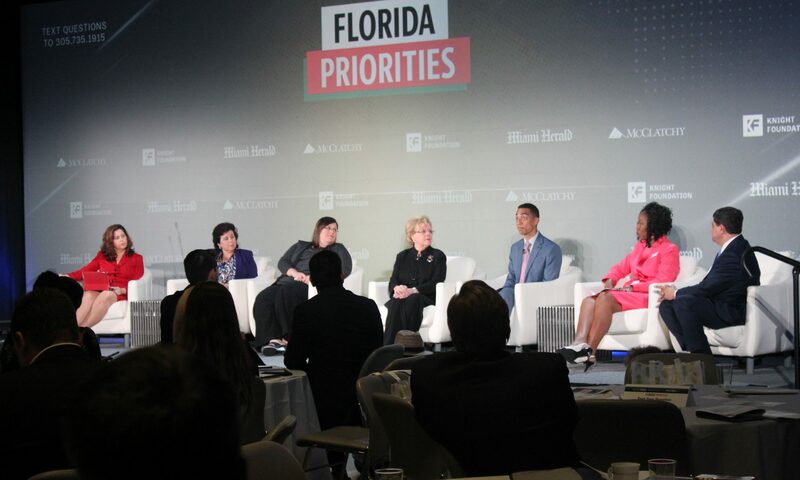 On the final day of the Florida Priorities Summit, influencers from across the state proposed solutions to those issues after brainstorming for two and a half hours in search of common ground. On behalf of the transportation and infrastructure panel, Chris Caines was the first to present findings and solutions. Caines, executive director of the Miami Urban Future Initiative, said Florida’s transportation issue stems from riders and the quality of services. “You have underinvestment and substandard service in a lot of places, and then you have people that aren’t so enthusiastic about it,” he said. The transportation and infrastructure panel suggested the way to fix this requires two steps: make the service better and educate people, Caines said. Next up was Cindy Arenberg Seltzer, who told the crowd what the education panel believed needed to be done. She said the they believed the key to improve education is money. “Taxpayers have said we are willing to pay more to give us a world-class education,” said Seltzer, president and CEO of Children’s Services Council of Broward County. The education panel was most concerned that new sales tax money approved by voters for education will be diverted from teacher salaries and programs. They fear that as with money from the lottery, it will replace general revenue instead. If used the way voters intended, “we can focus not only on the basics of education, but also enhance social and emotional learning, mental health services and critical thinking,” Seltzer said. Although Florida is the third largest state and has the fourth largest economy, Victoria Kasdan said it’s 49th when it comes to access, affordability and disparities in healthcare. “We are all consumers of health care so there is no reason we all shouldn’t be concerned about high cost and affordability,” said Kasdan, executive director of We Care Manatee. Expanding Medicaid was the solution Kasdan presented from the health care panel. She says there are only 14 states left who haven’t done it and that it would cover an additional 300,000 people, leaving the eligibility requirements the same. The health care panel also recommended repurposing low income pool (LIP) funds that currently fill in the gap for uncompensated care. With mass shootings becoming common place and rising gun violence being a persistent issue, Rhea Law presented the gun safety panel’s recommendations. That panel recommended doing away with loopholes in background checks and clarifying the Stand Your Ground law. The gun panel also recommended creation of a new database that includes information about domestic abuse, substance abuse and mental health collected from the FBI and other state organizations. Law went on to say that citizens need to educate themselves on the facts, so solutions can be found. The environmental panel cited climate change, sea level rise, water quality and quantity challenges and preserving the Everglades as key issues, said Julie Wraithmell, executive director of Audubon Florida. “The environment is Florida’s economy and if we don’t protect it our future well-being is in jeopardy,” said Wraithmell, executive director of Audubon Florida. She said the best way to fix these issues is to push to create new scientific industries and jobs to solve Florida’s challenges and for elected officials to base their decisions on science and to stick with them. When it comes to water conservation, Wraithmell said local governments can play an important role. “Encouraging and incentivizing the use of water conservation appliances and other elements is really a great opportunity for local governments to move the needle,” she said. 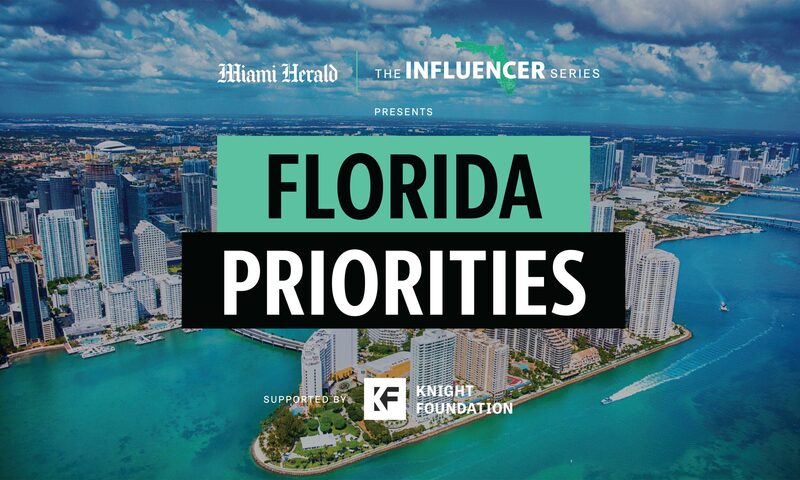 The solutions proposed at the summit will be shared with Florida lawmakers as a potential roadmap to addressing the challenges facing the state.